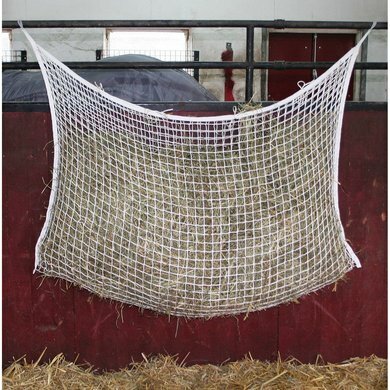 This strong hay net is a "slow feeder", due to the small openings (3cm*3cm) it slows down consumption so the hay last 2-3 times longer and replicates grazing. 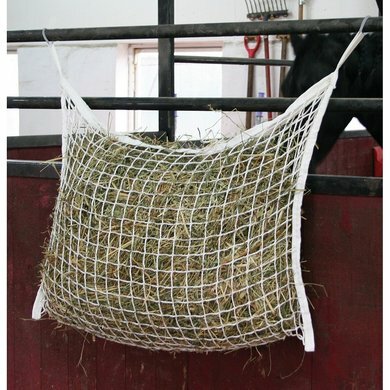 Slow feeder hay nets are an ideal way to provide hay in an economical way, it saves up to 30% food. With two attachment loops. Works well for a low price. 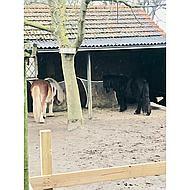 Is just big enough for 1 pony for 1 day / night. 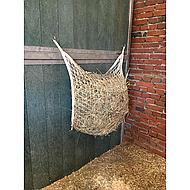 Practical and sturdy hay net! 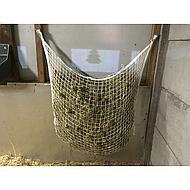 My horse has been using this hay net for 1 month now and I am very satisfied! 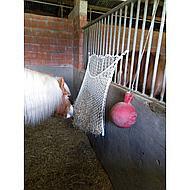 It is sturdy and very easy to use! Super nice neat; to use. 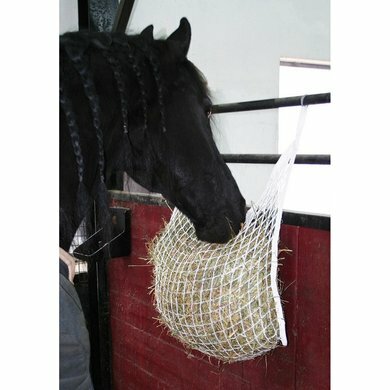 The fine mesh makes the horses eat more slowly and there is less waste. Also very easy to fill due to the large opening at the top. 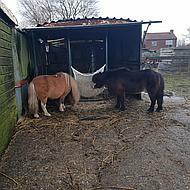 Very good for giving my shetlander hay, so the hay really needs to get away with it, so it takes longer to eat her hay. Question: How big are the meshes? Thanks in advance! Question: How many kilograms can this be about? 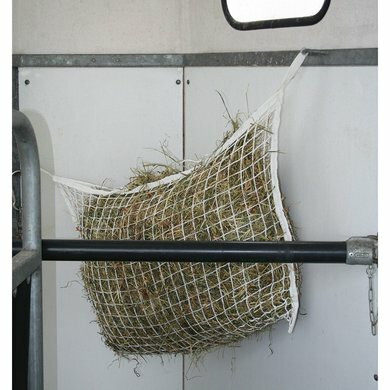 Answer: That is unfortunately not to say because, for example, dry is heavier than hay. 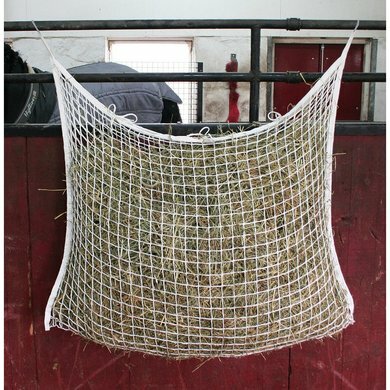 Fortunately the sizes are there and there are several pictures of customers so you can get an idea how much of your hay would fit in this net. 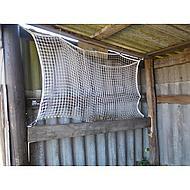 Question: Which material has this just been made of? 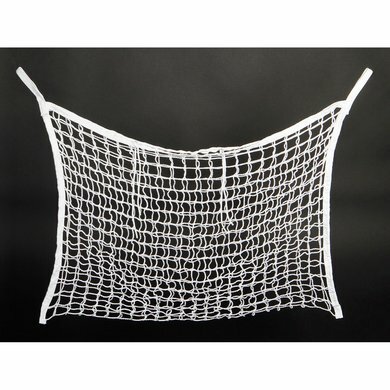 Answer: The material is nylon / polyester.